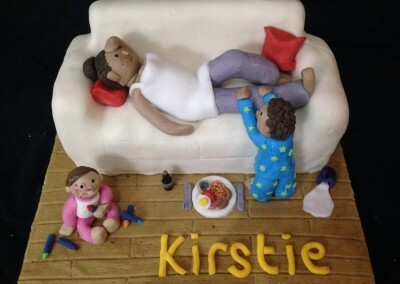 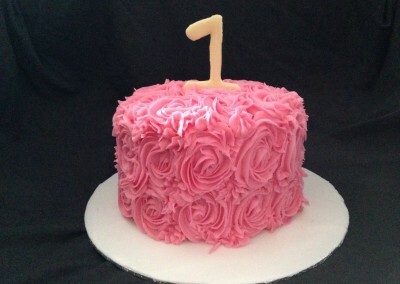 No occasion is too big or small to celebrate with cake! 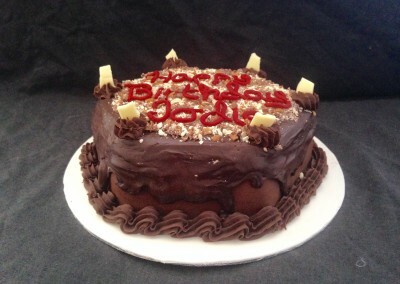 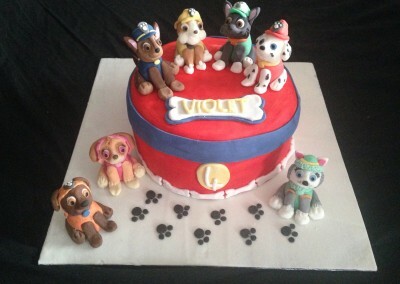 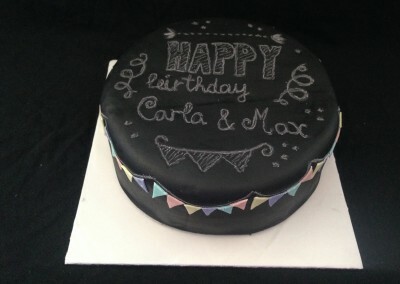 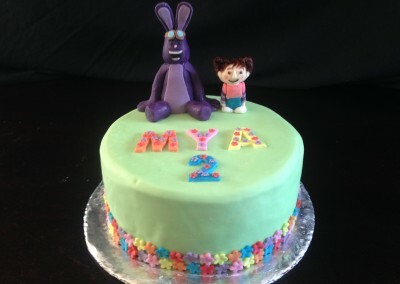 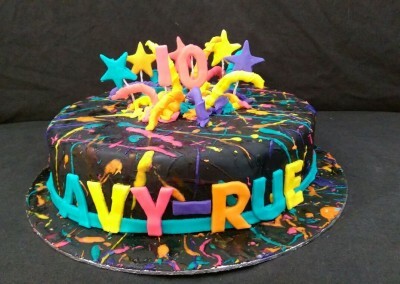 A celebration cake is the perfect gift to bring a party together. 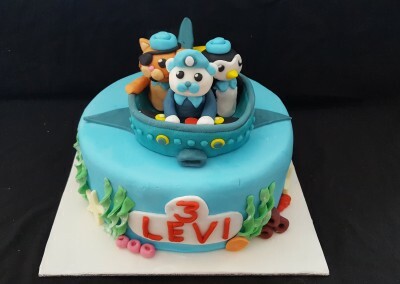 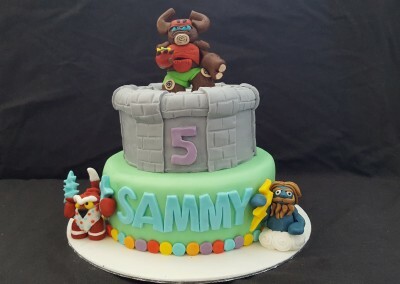 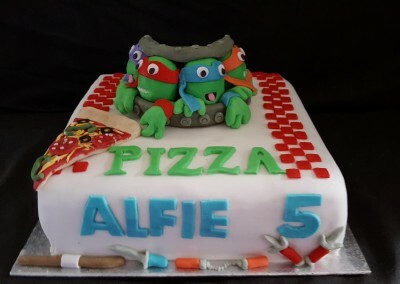 It’s always good to have a large cake that can fit into any theme that your party may have or to really capture the moment or person you are celebrating! 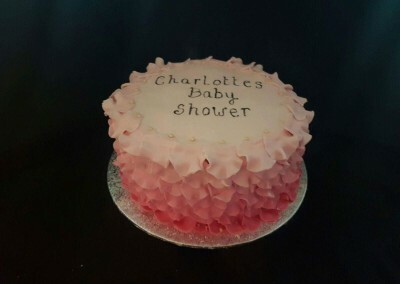 Whether its a Birthday, wedding, christening, graduation, passing a test, a new member joining your family, retirement, for your valentines or mothers day. 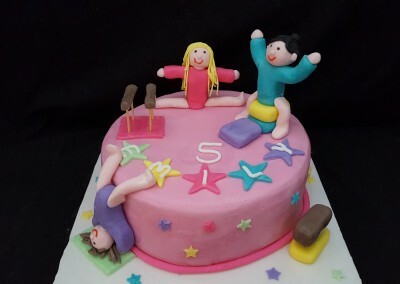 No occasion is too small to celebrate with cake! 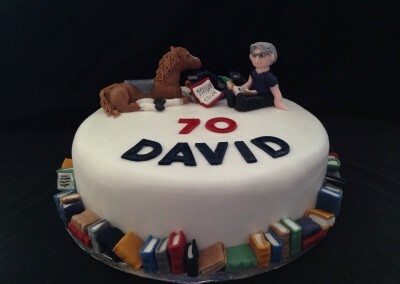 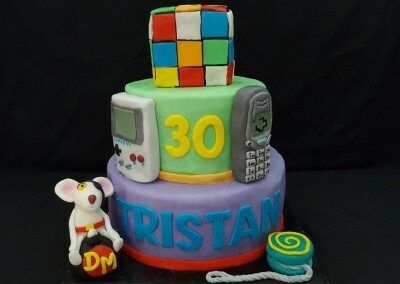 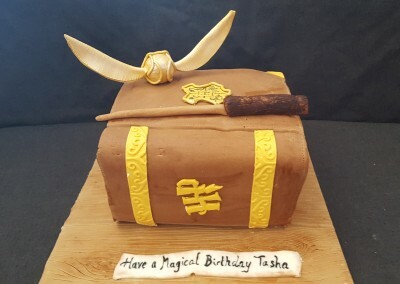 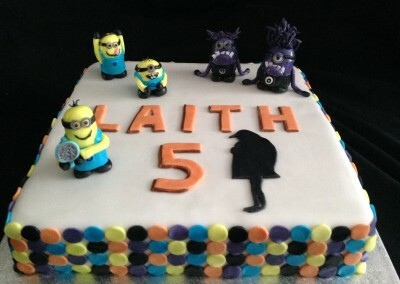 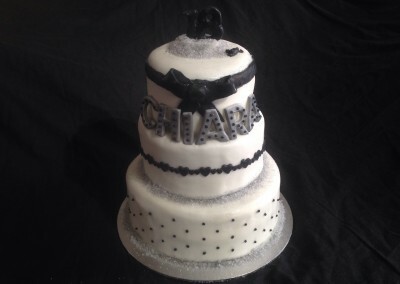 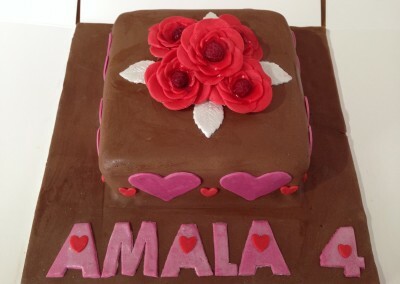 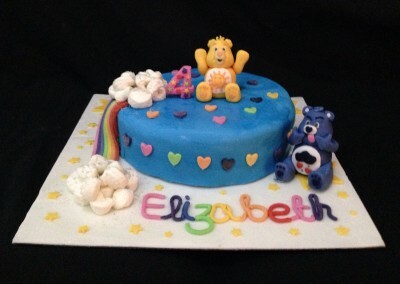 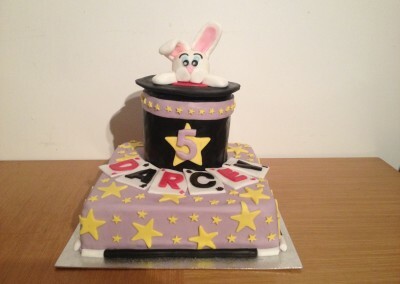 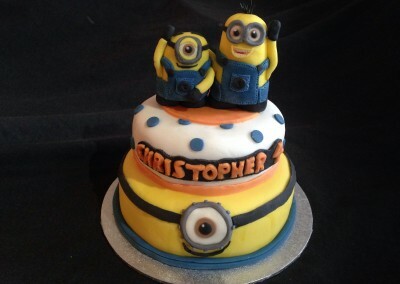 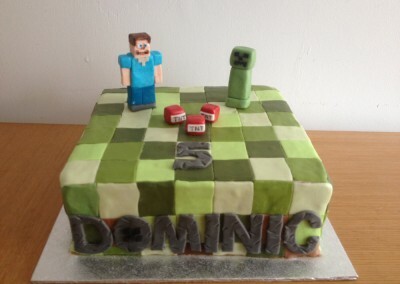 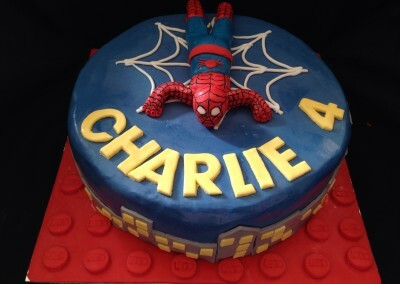 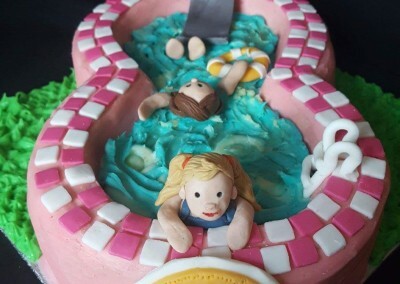 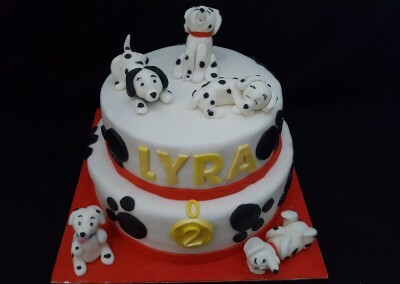 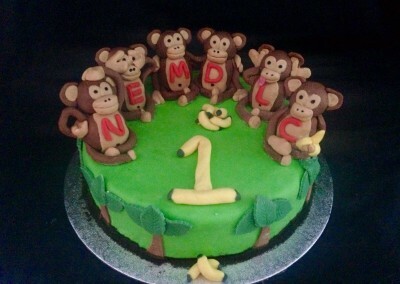 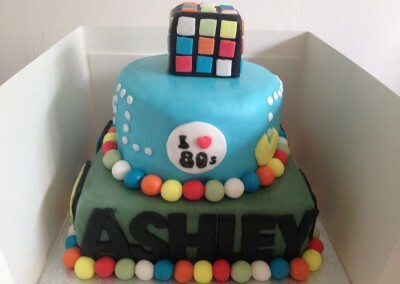 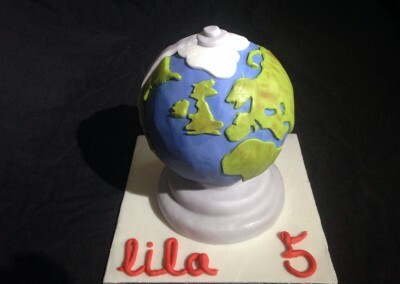 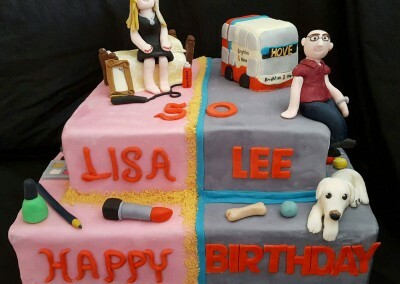 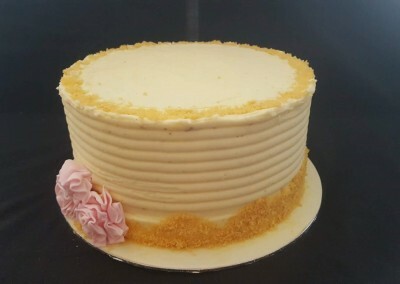 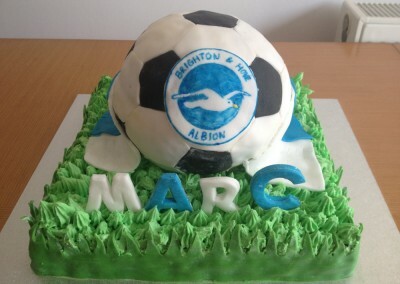 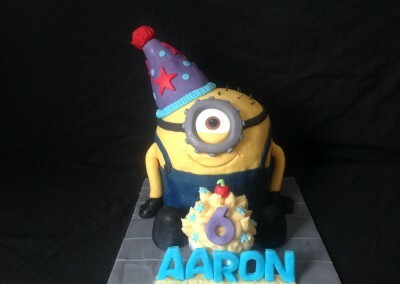 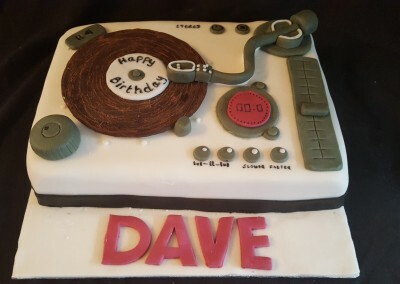 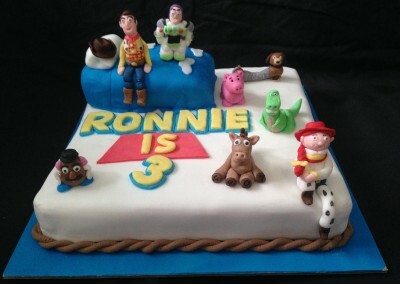 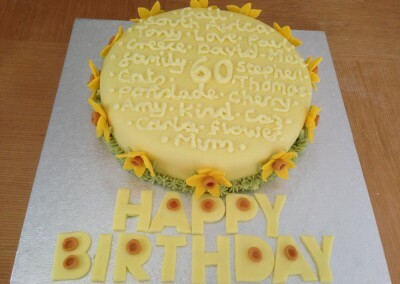 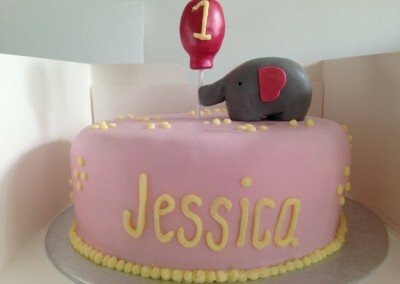 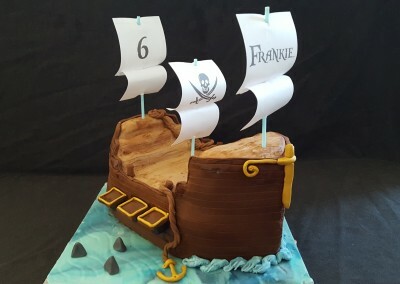 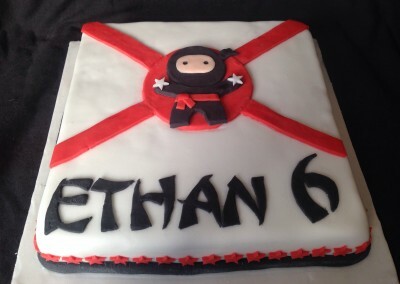 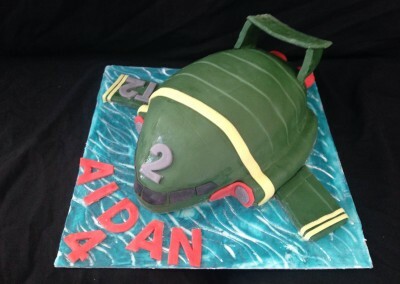 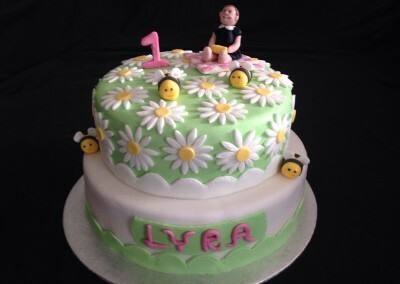 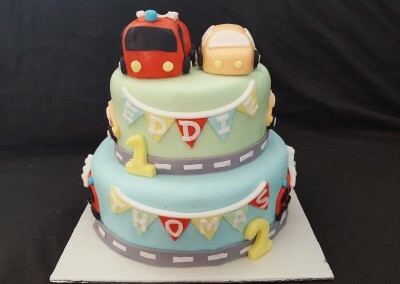 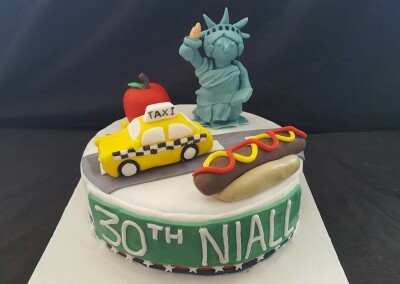 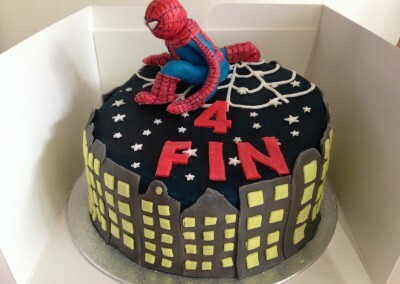 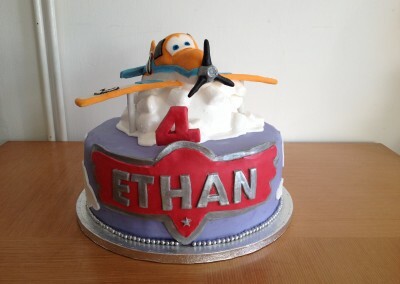 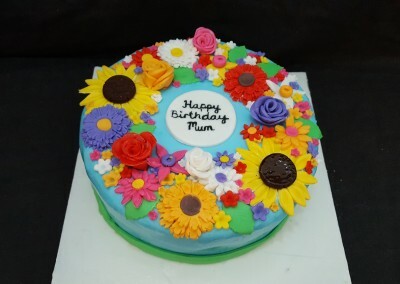 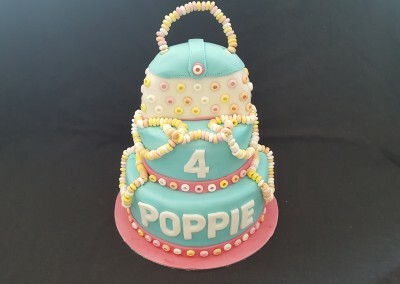 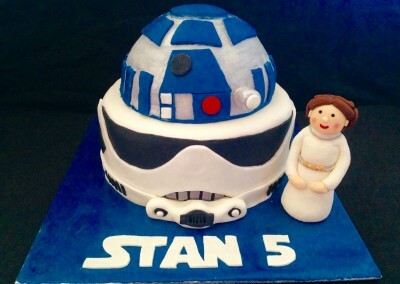 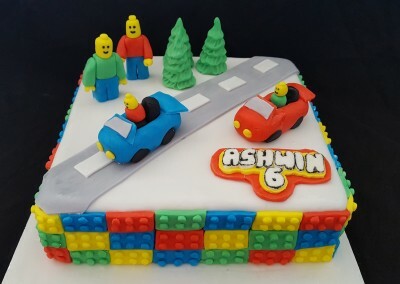 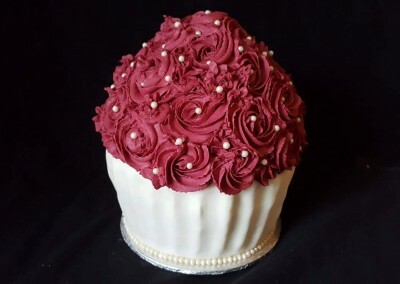 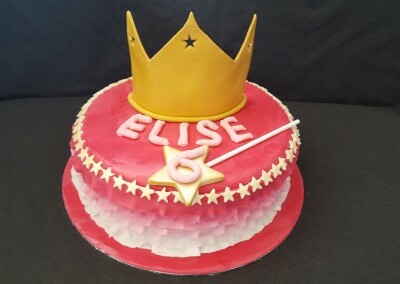 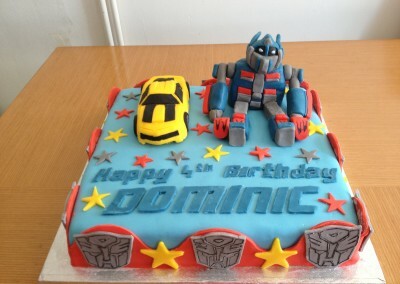 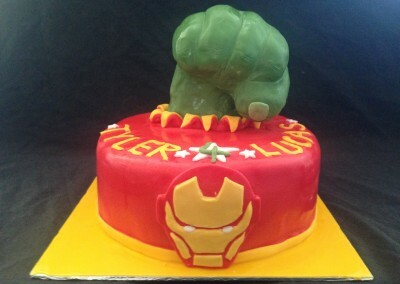 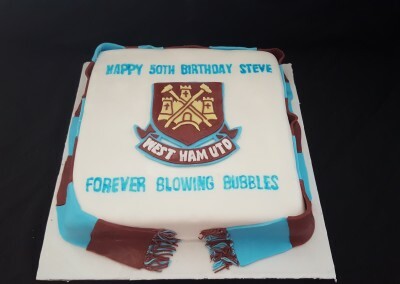 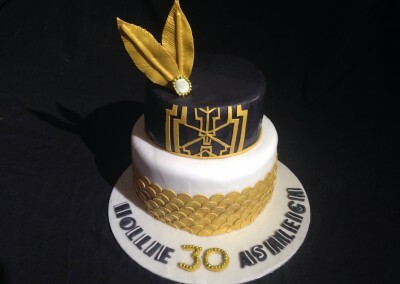 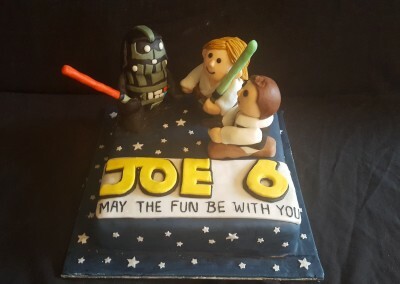 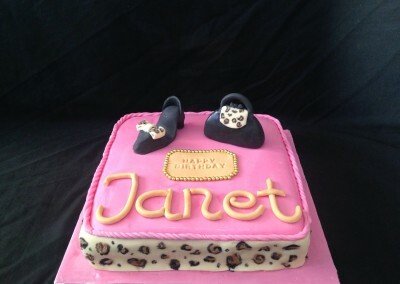 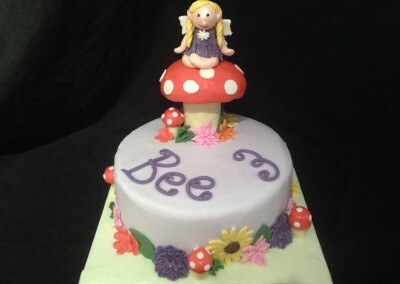 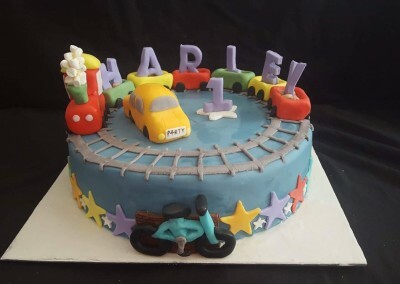 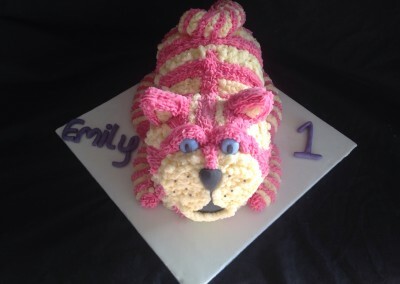 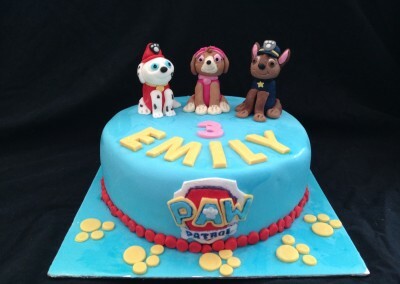 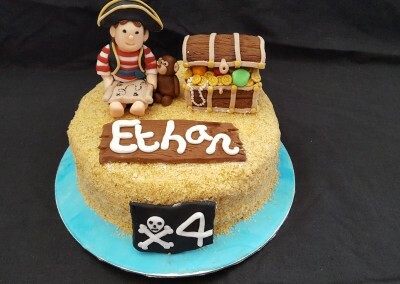 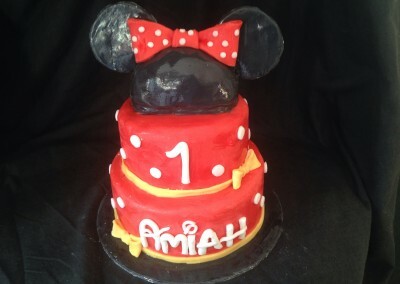 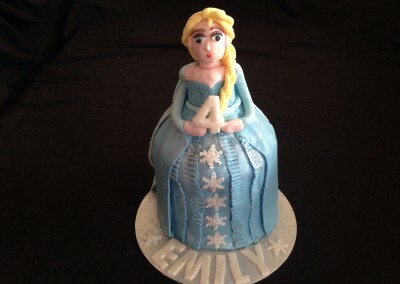 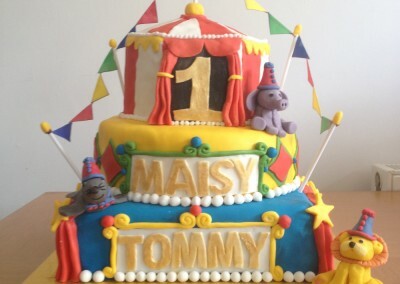 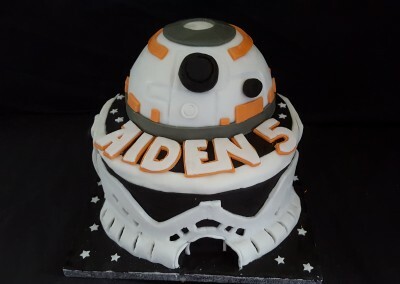 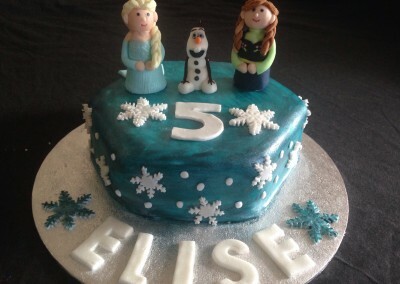 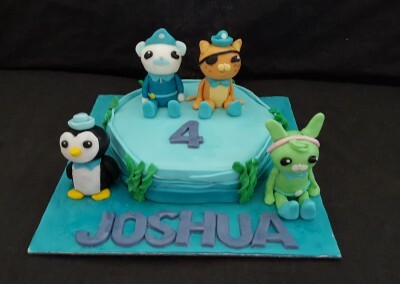 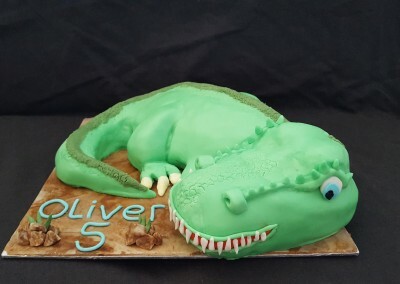 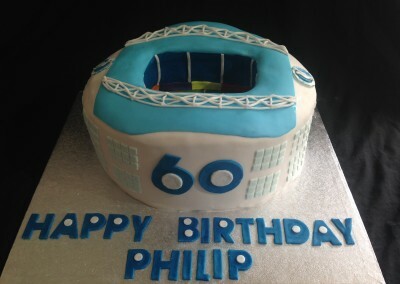 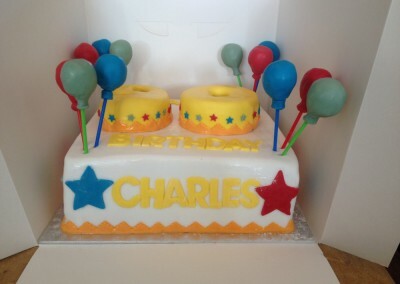 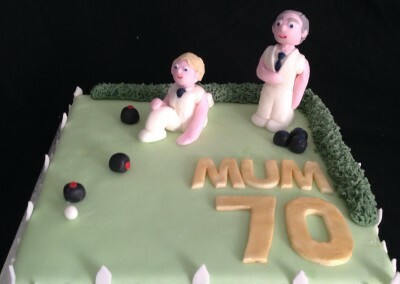 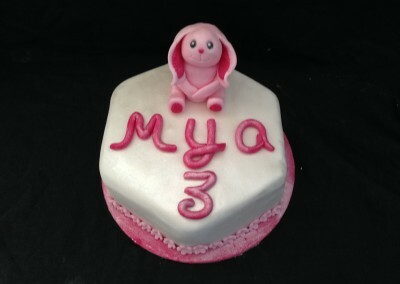 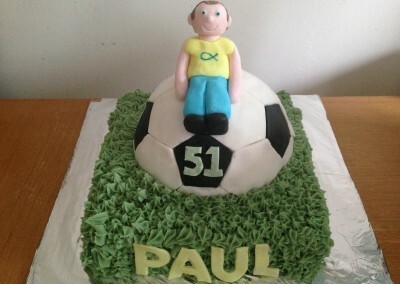 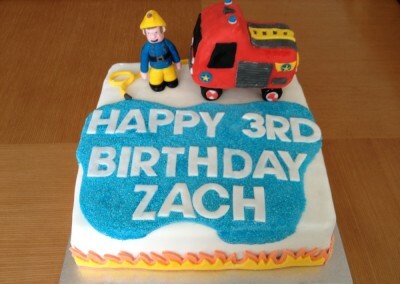 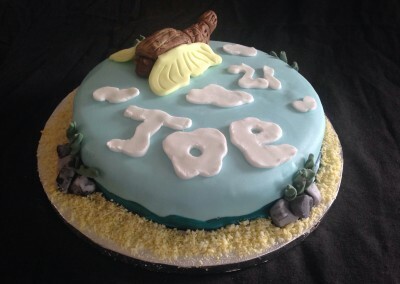 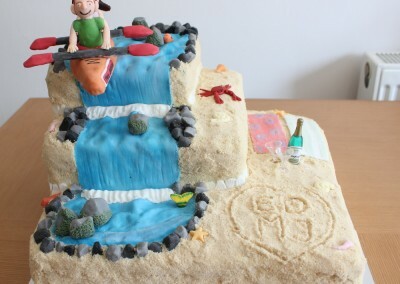 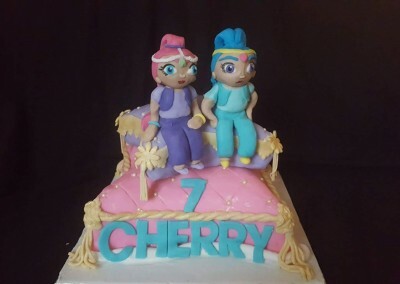 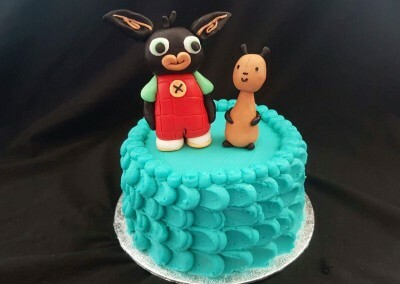 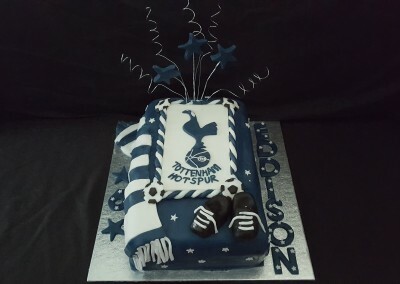 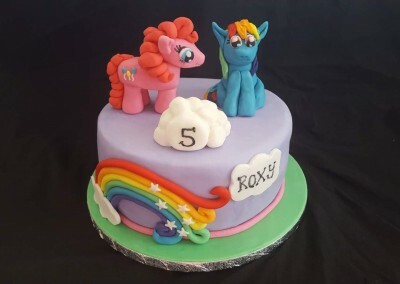 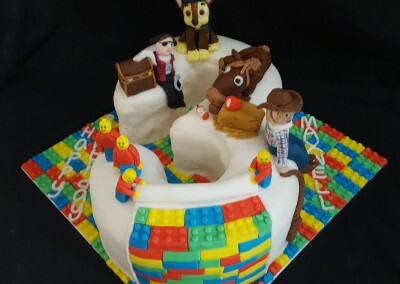 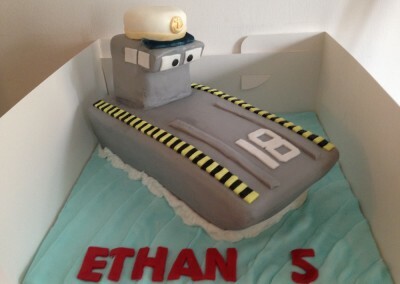 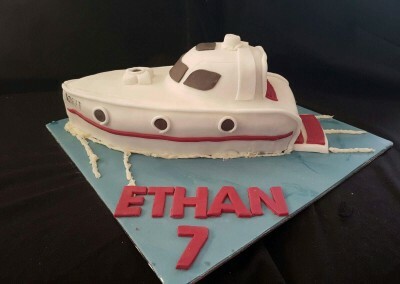 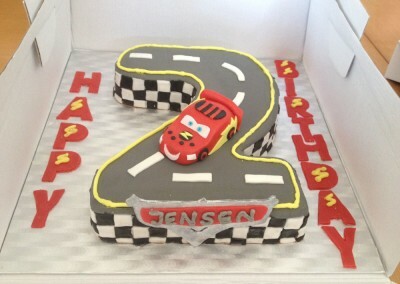 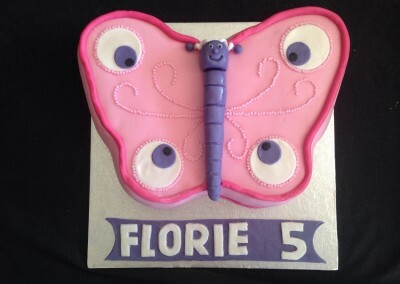 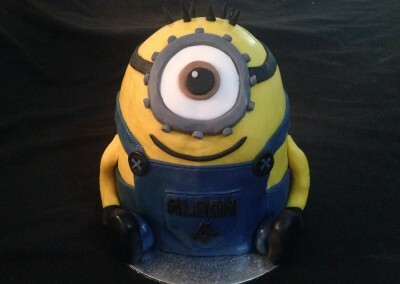 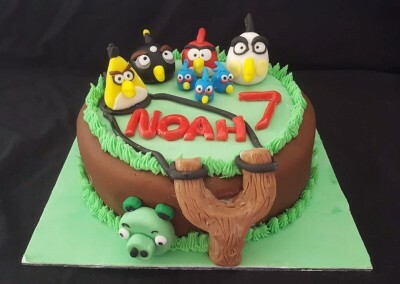 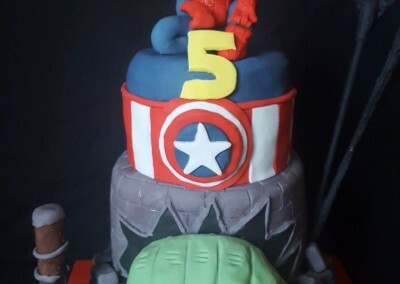 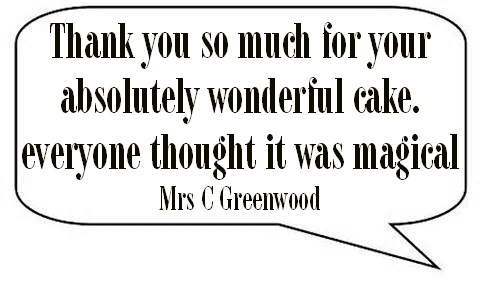 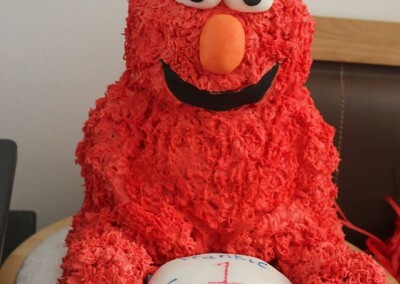 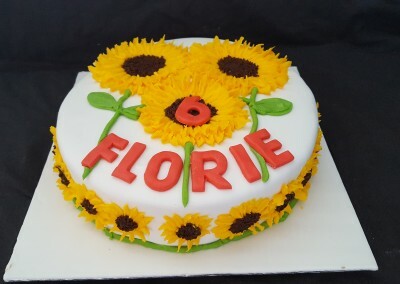 Celebration cakes can be made in all different shapes and sizes with different flavoured sponge and either a butter icing or fondant icing topping in any colour to match your occasion. 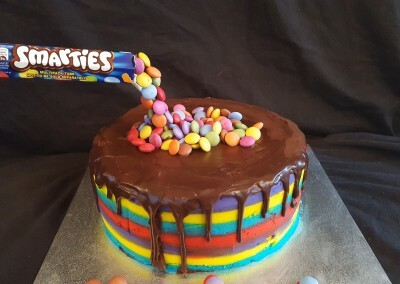 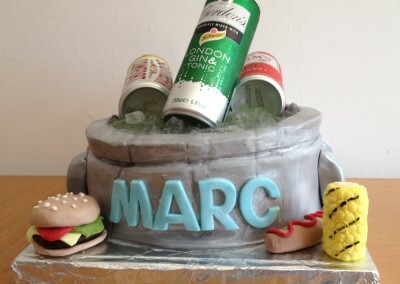 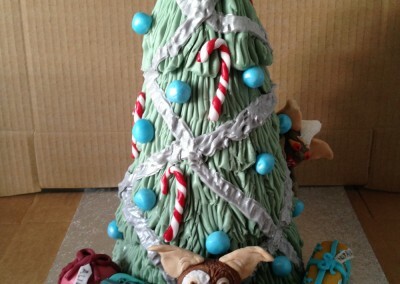 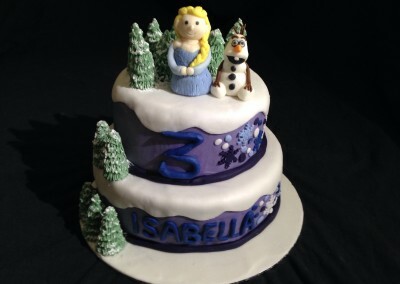 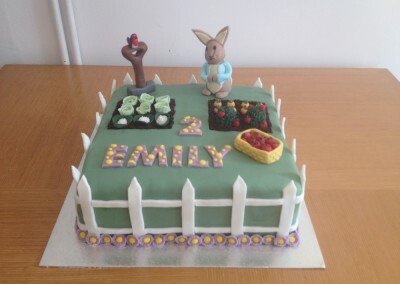 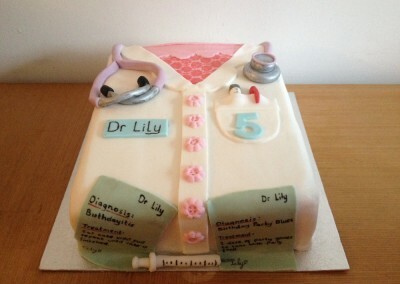 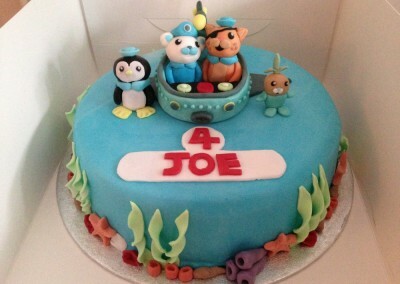 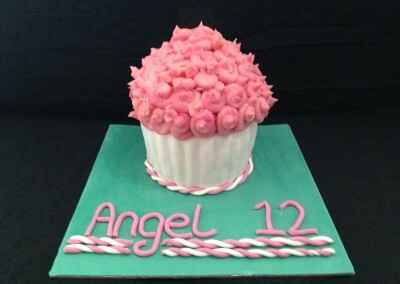 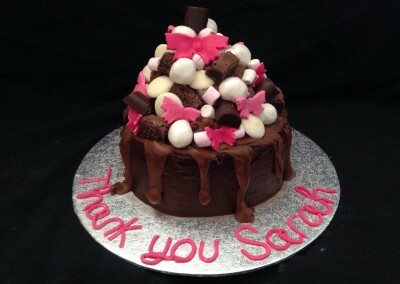 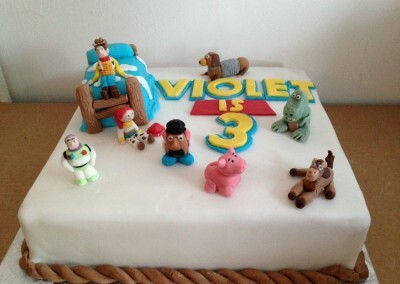 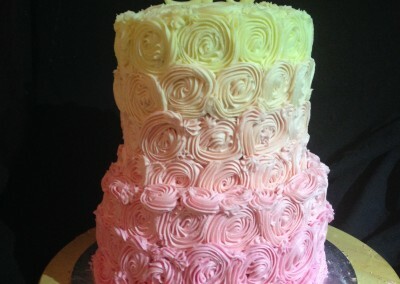 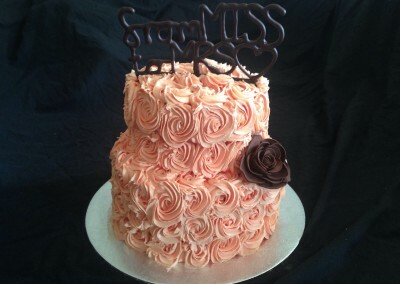 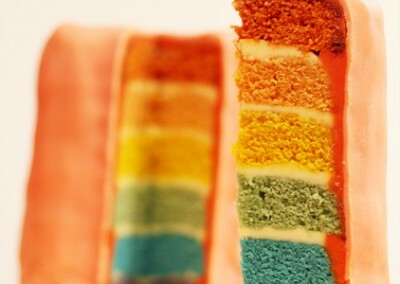 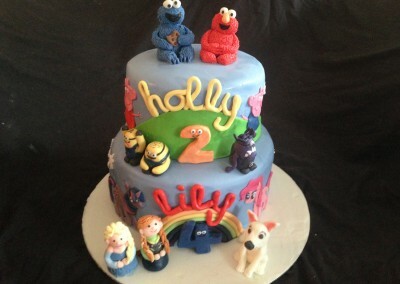 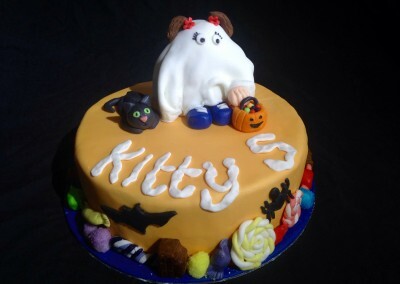 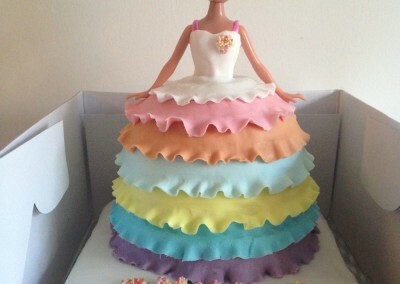 I can make as many tiers as you want and they don’t all have to be the same flavour or shape! 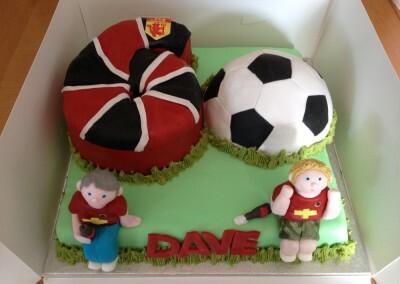 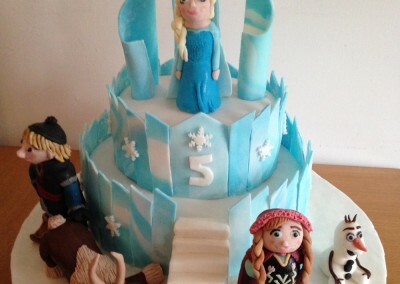 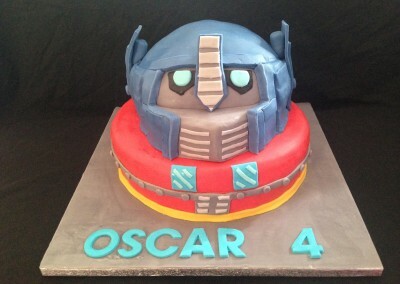 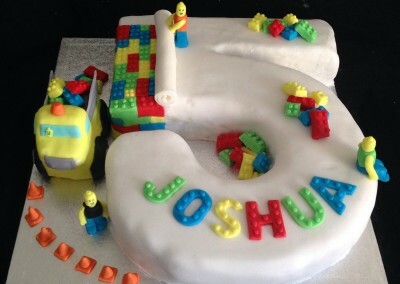 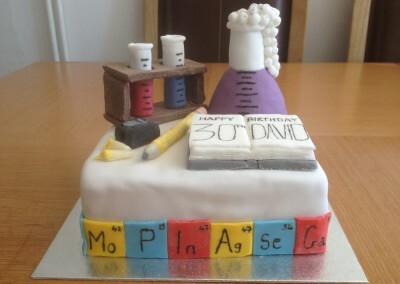 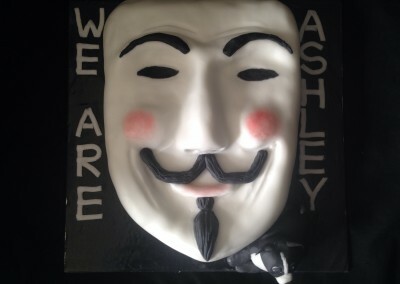 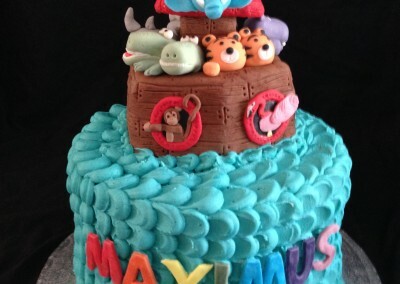 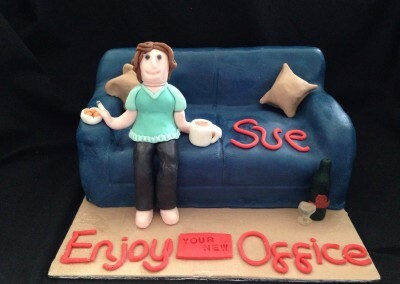 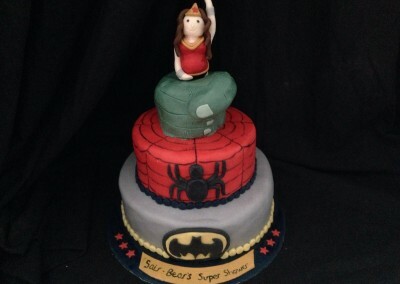 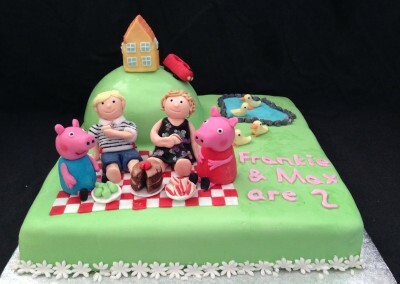 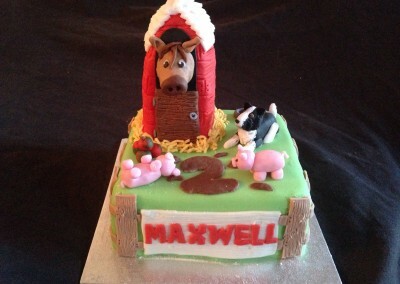 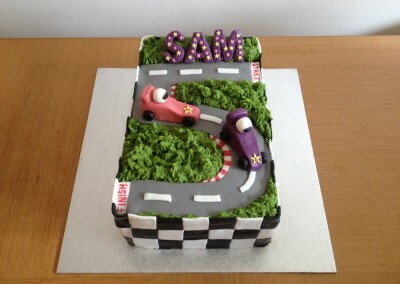 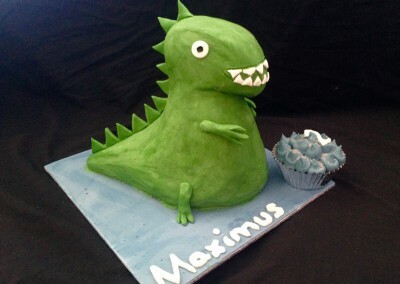 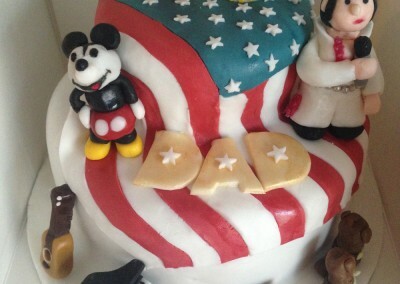 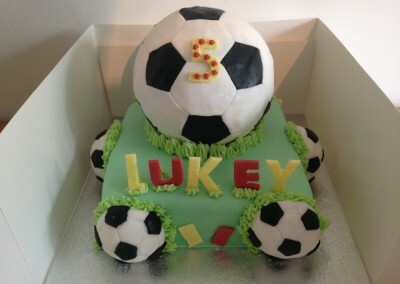 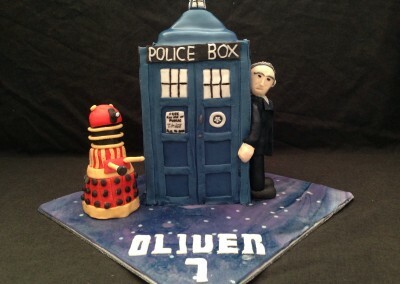 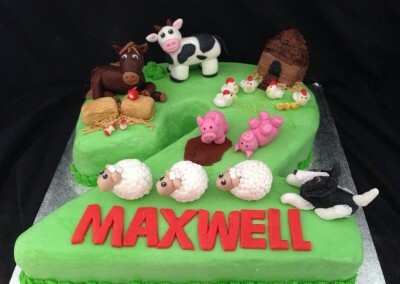 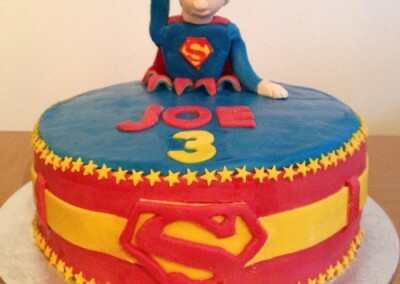 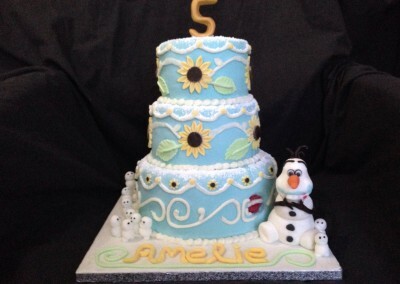 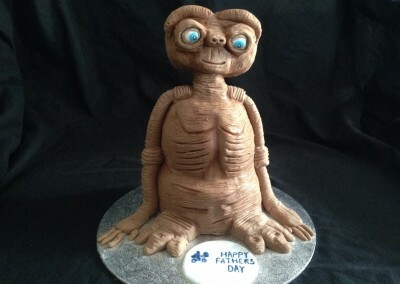 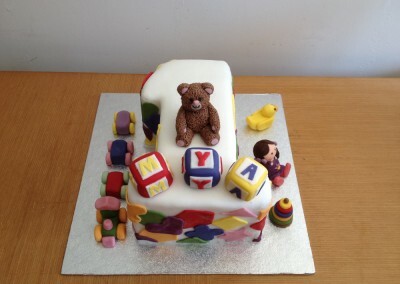 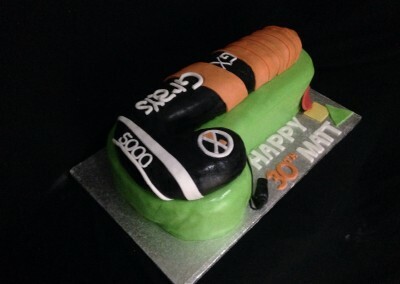 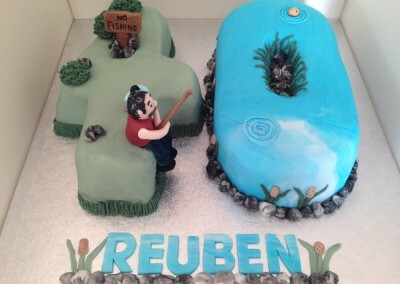 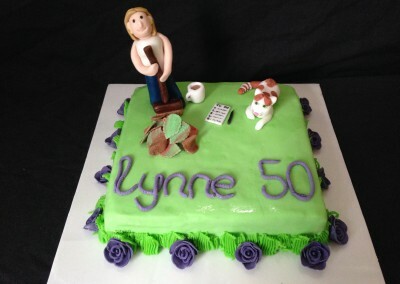 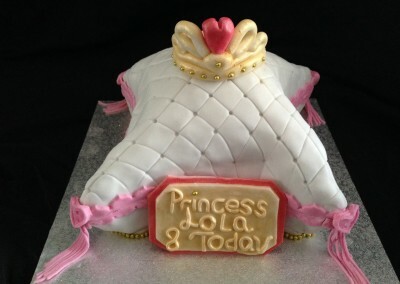 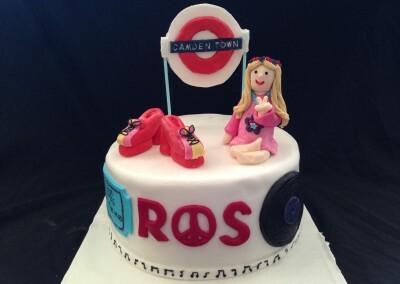 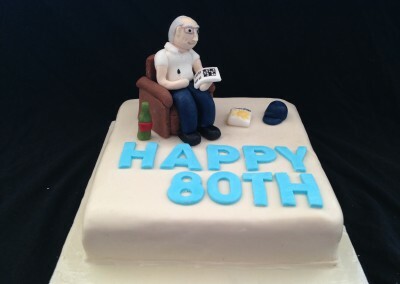 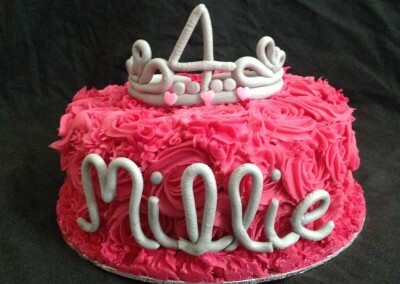 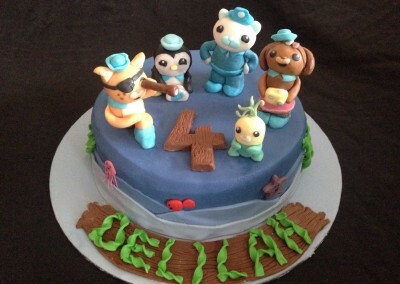 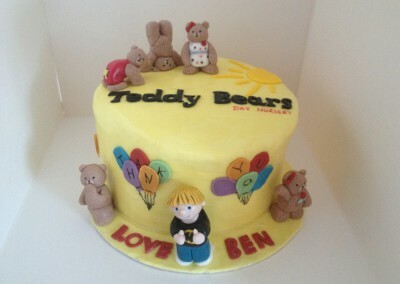 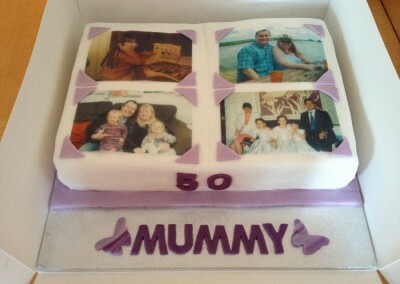 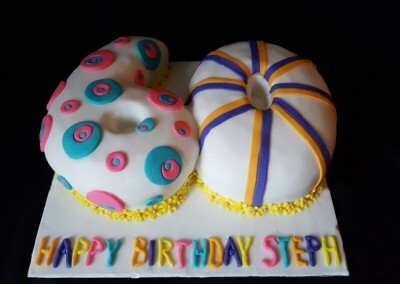 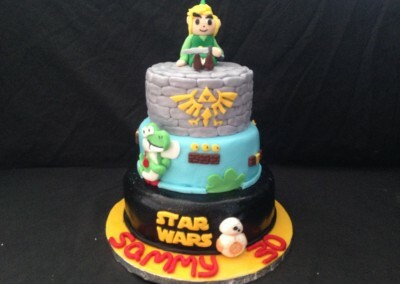 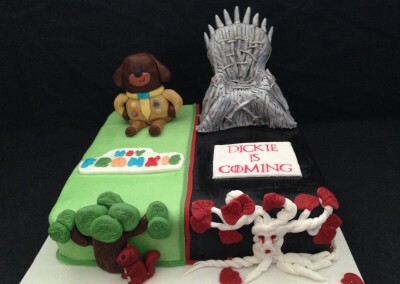 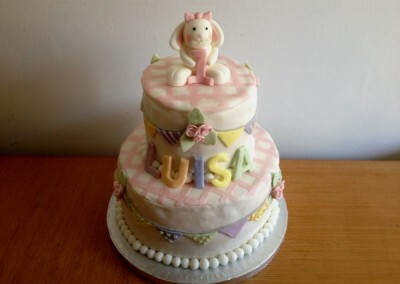 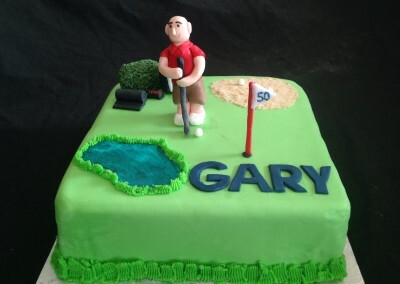 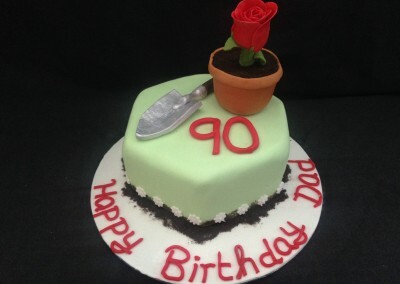 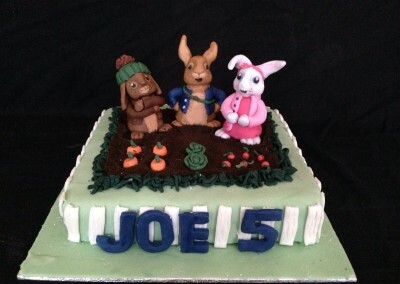 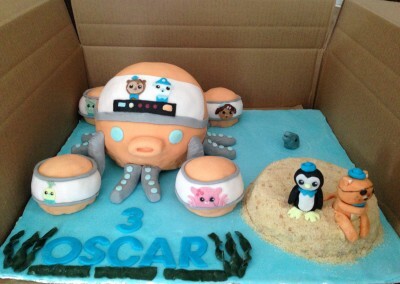 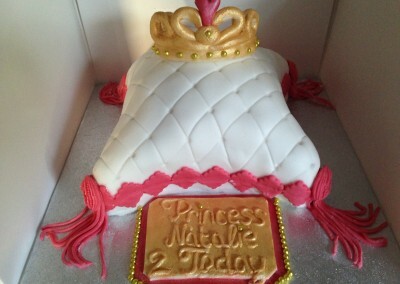 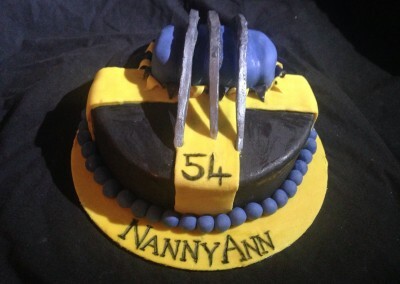 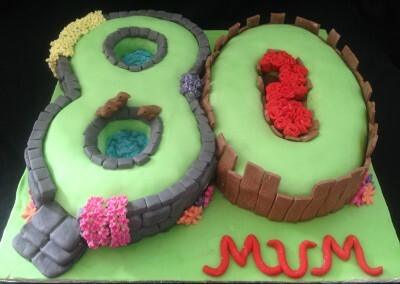 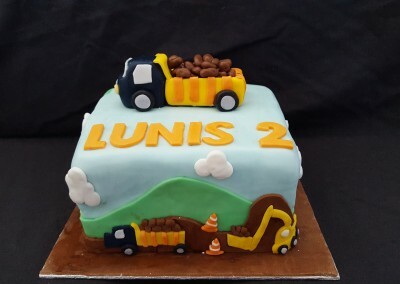 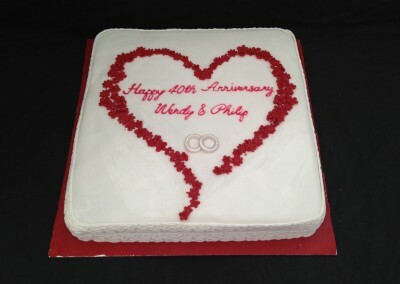 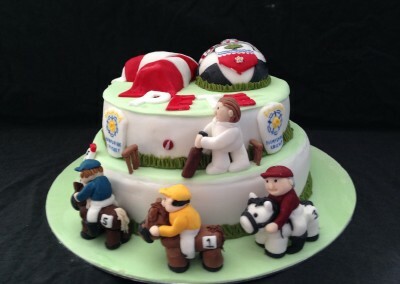 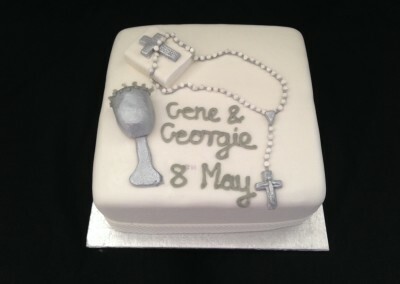 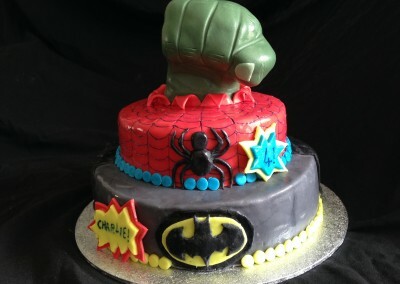 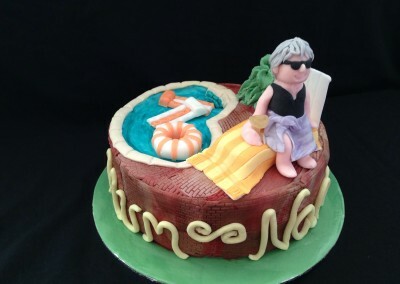 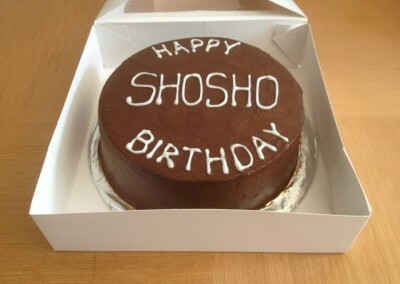 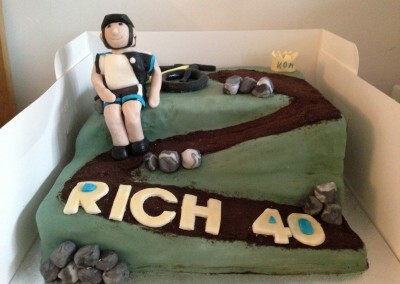 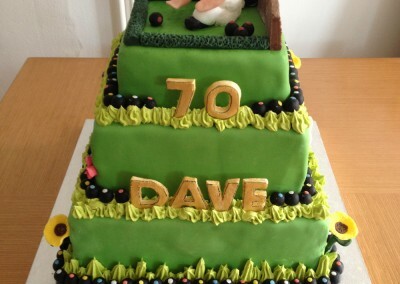 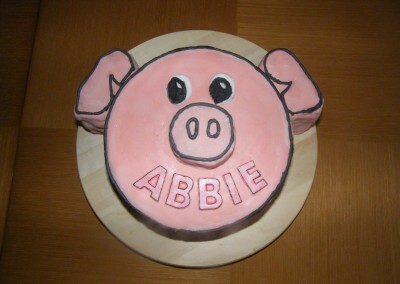 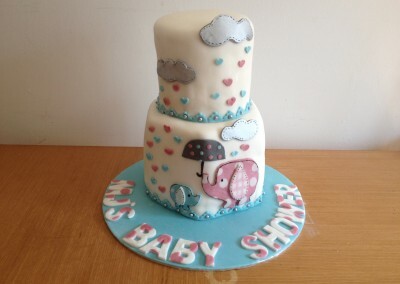 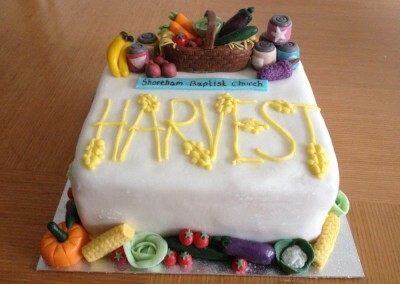 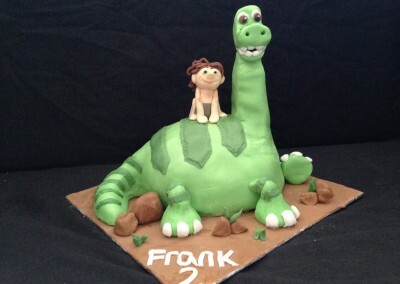 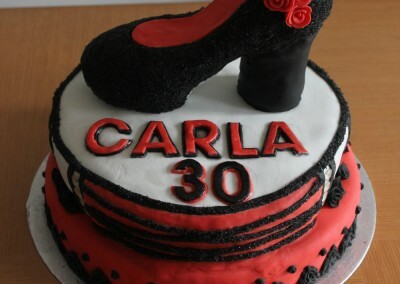 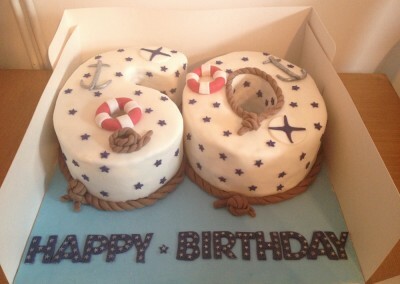 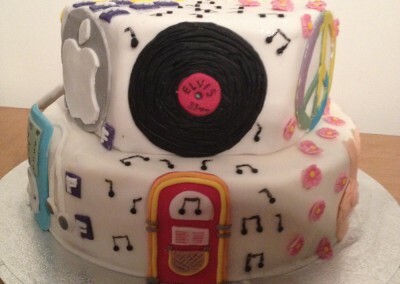 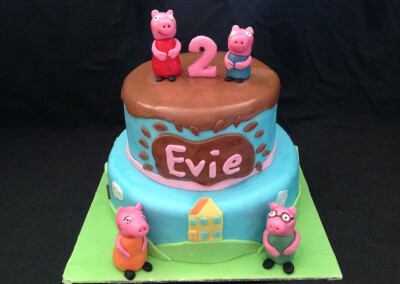 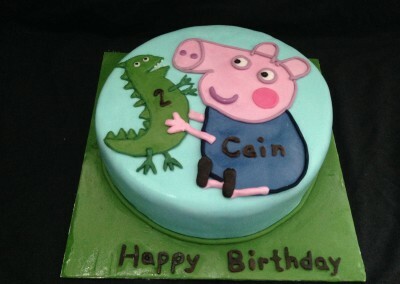 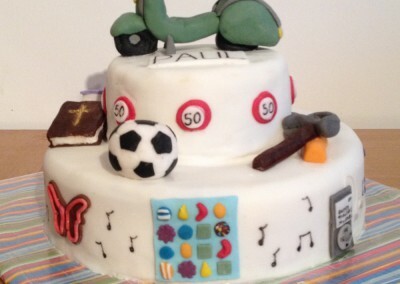 If you want a more traditional cake or a novelty shaped cake it is possible. 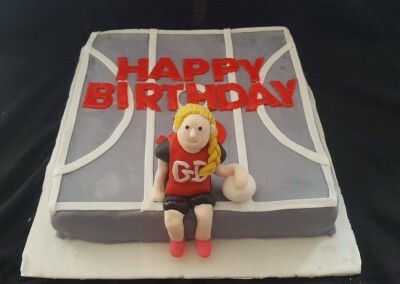 I also make edible cake toppers so if you want the birthday girl or boy having a picnic with their favourite TV characters or standing with the bike they got for their birthday its just another way to make your cake extra personal and memorable. 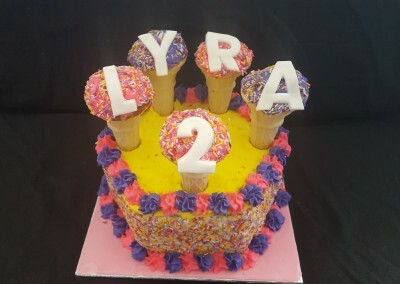 Almost all flavours and toppings are available, if you have an idea in mind I will work to make it happen. 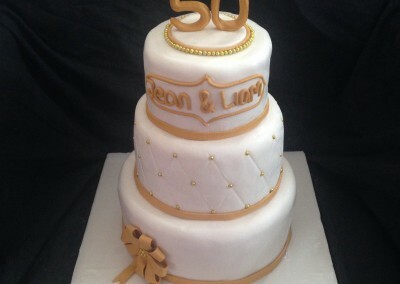 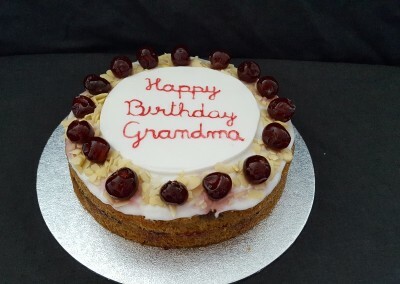 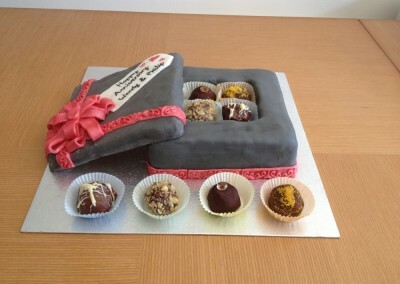 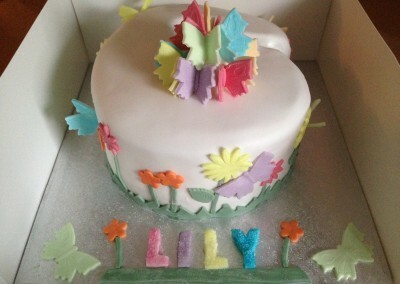 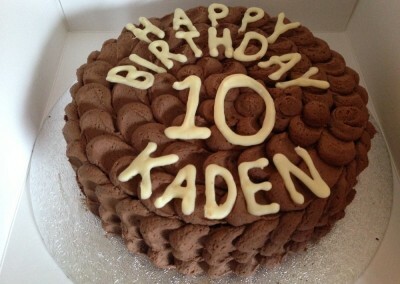 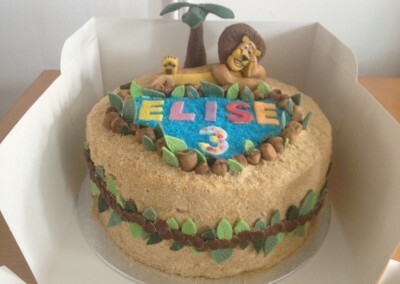 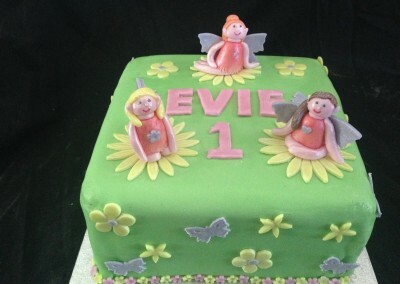 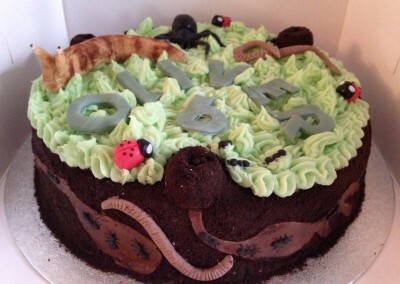 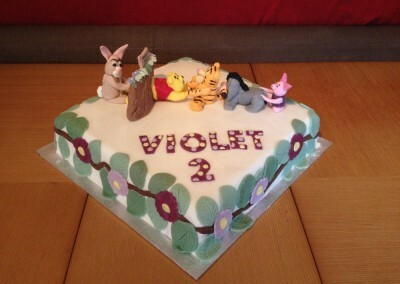 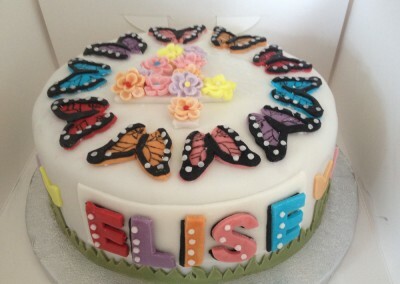 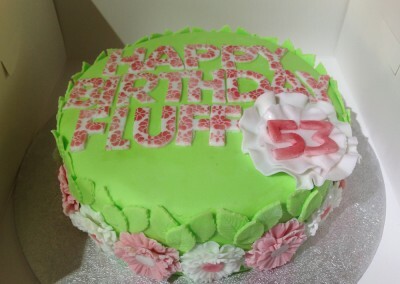 I can make large cakes GLUTEN FREE and DAIRY FREE in most flavours. 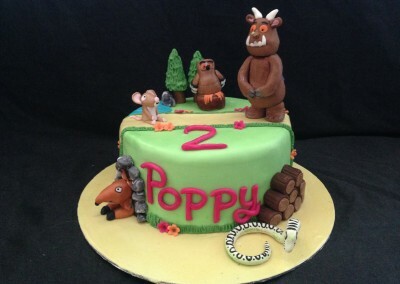 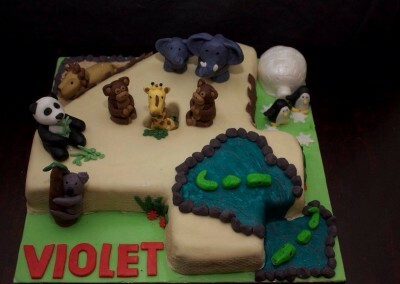 oh help, oh no…its the Gruffalo!